A large demonstration is taking place in Frankfurt am Main this weekend. It is expected to last until the early hours of Sunday morning, and 30,000 demonstrators are expected. 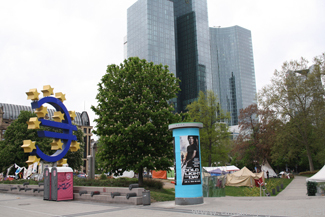 Their aim is to shut down the banking area of Frankfurt and stop the employees there from getting to work. Many shops in the area have been boarded up and some banks have made contingency plans for their employees to work from home. Others have instructed their staff to avoid formal dress. 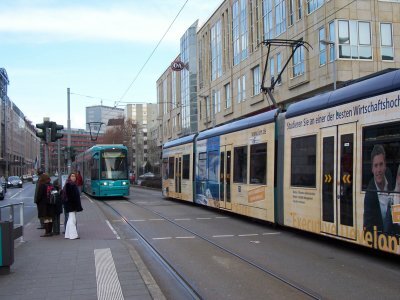 Trams 11 and 12 will terminate at the Hauptbahnhof in the west of the city and “Börneplatz / Stoltzestraße” in the east. There is no service through the city centre. Bus route 64 will only operate between Ginnheim and Miquel-/Adickesallee. There is no service to the Hauptbahnhof. The night buses n1, n2 and n8 will be routed around the area. The latest travel news in German can be found on Twitter by following @vgf_ffm. 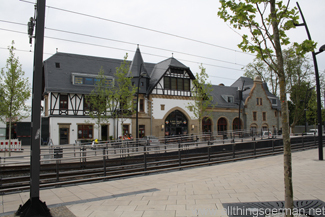 Follow us on @allthingsgerman for updates in English.